This article first appeared in The Edge Financial Daily, on May 25, 2018. 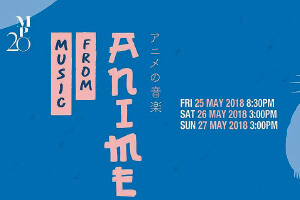 Swing by Dewan Filharmonik Petronas this week and join the Malaysian Philharmonic Orchestra for an evening of “anime’ music”. Conducted by Naohisa Furusawa, the concert will feature music from various animated works, such as those from Studio Ghilbi. The repertoire of music includes Symphonic Variation Merry-Go-Round + Cave of Mind from Howl’s Moving Castle, Kimi Wo Nosete from Laputa: The Flying Island and Sanpo from My Neighbor Totoro. The concert will take place today (8.30pm) and tomorrow to Sunday (3pm). Tickets start at RM120, and can be bought online at www.mpo.com.my. 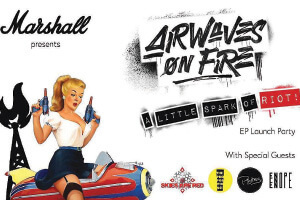 Airwaves on Fire is a PJ-based Punk Rock quintet, with a drive and passion to bring their music to a global audience. Their new extended play, A Little Spark of Riot is out, and they will be hosting a launch party at The Bee Publika on Sunday. Join them for an evening of rock and roll, alongside special guests Enope, Psytrus, Skies are Red and The Propositions. The party will take place on Sunday from 4pm to 8pm. 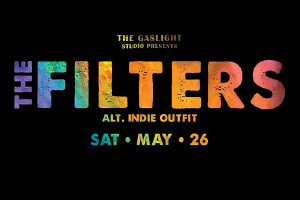 The Filters, a local, four-piece band from Kuala Lumpur will be performing at The Gaslight KL. Citing influences that span from Foals to Radiohead to King Krule, it aspires to exhibit a plethora of intriguing and multi-layered textures through their music. Catch the band — Ian Francis Khoo (guitar, vocals), Aiman Shakirin (drums), Reuben Ravi (Bass, Synths) and Iain Chan (guitar) — on Saturday at 9pm. 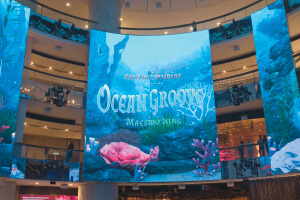 Catch Genting Malaysia’s CG animated production company Genting Studios’ new and original production of CG-animated show Ocean Groove with Maestro Ning at the SkySymphony, SkyAvenue at Resorts World Genting. The show weaves together CG animation, music and the magic of technology. It will feature complimentary live performances from tomorrow to May 29 with 20 minutes per show at various show times: 11am, 1pm, 3pm, 5pm and 8pm. Besides performing at the Times Square stage, the performers will also be having a walkabout at SkyAvenue and First World Plaza. For more details, call +603 6101 1118 or visit www.rwgenting.com. Ed Sheeran has been taking the entire world by storm ever since he released his debut album “+” in 2011. Since he has sold more than 26 million albums and 100 million singles worldwide, making him one of the world’s bestselling music artistes. 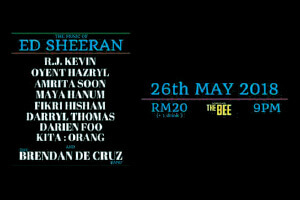 The Bee has gathered some of the best talents in Kuala Lumpur together, to showcase the music of Sheeran, each in their own unique style. 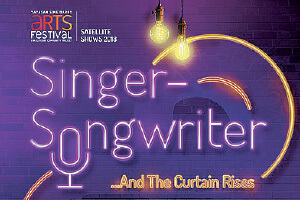 The line-up includes Brendan de Cruz (and his band), Amrita Soon, Darryl Thomas and other talented vocalists. Tickets are priced at RM20 and are inclusive of a complimentary drink. Veteran Hong Kong singer/actor Adam Cheng is bringing his 50th Anniversary World Tour to Malaysia, and will be performing tomorrow at the Arena of Stars, Resort World Genting. Cheng started his career in the 1970s where he rose to fame, with lead roles in various TVB drama series. He is also known for singing the theme songs for the drama series, such as The Greed of Man and Cold Blood Warm Heart. 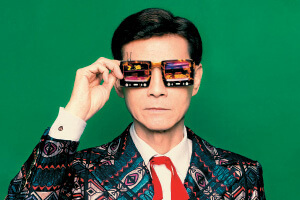 You can find tickets to his performance at www.rwgenting.com. Dark and Light, Day and Night, Good and Bad, Union and Separation, Shiva and Shakti, Yin and Yang… The concept of polar opposites, as a philosophical cornerstone, resonates across many cultures around the world. It defines the boundaries against which emotion, virtues and life itself is viewed and understood. This is the concept which is portrayed through the production ‘Shringara” (or “Love”), a dance performance in the authentic Kalakshetra “baani”. The dance performance will take place tomorrow, at Shantanand Auditorium in Brickfields, Kuala Lumpur. Contact (017) 6725672 for more details. Ahead of the finale in August, the Yayasan Sime Darby Arts Festival will be rolling out a satellite event … And The Curtain Rises. 12 singer-songwriters will be paired up randomly to write 12 brand new songs in a mere 12-hour period. Once the time is up, they will have to premiere these new pieces to a live audience. Moreover, the performance will be recorded and made into a CD. 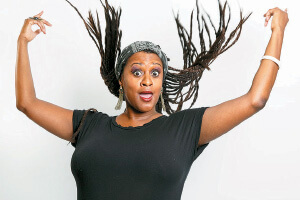 Many established singer-songwriters have taken up the challenge, such as Aina Abdul, Brendan de Cruz, Priscillia Xavier and more. Be the first to hear these songs performed live, at klpac’s Pentas 2, tomorrow and Sunday. For more details, log on to www.klpac.org. BoboNose at Bobo KL is described as “an alternative platform”, combining a spectrum of music, spoken word and performances from up and coming artistes in Kuala Lumpur. This two-day-long event will feature melodramatic pop anthems to inspirational poetry, even lip-syncing performances by some wannabe divas. 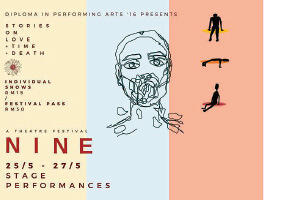 Each night will see three musicians performing, one drag performance and one poetry performance by various artistes. 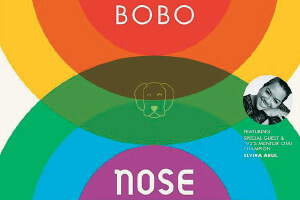 Join Bobo KL for the event today and tomorrow from 9.30pm. Entry is RM40++ per person and you can call (03) 2092 5002 to book your table now.